"He has earned praise, not only for his bulletproof technique, but also for his artistic voice: his sense of drama, his natural nobility and his youthfully searching interpretations." After a sold-out concert at Victoria Concert Hall during the 25th Singapore International Piano Festival in 2018, award-winning pianist Seong-Jin Cho returns to Singapore to present a captivating one-night-only solo recital at the Esplanade Concert Hall. 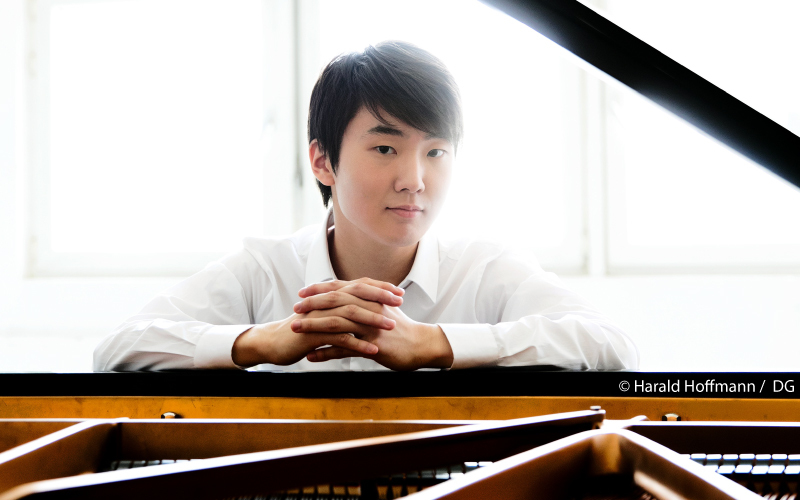 Seong-Jin Cho was brought to the world's attention in 2015 when he won the First Prize at the Chopin International Competition in Warsaw, and is already considered to be one of the most distinctive artists of his generation having performed with esteemed conductors and orchestras all around the world. His thoughtful and poetic, assertive and tender, virtuosic and colourful playing combines panache with purity and is driven by an impressive natural sense of balance. Schubert Fantasie in C major, Op.15 (D.760), "Wanderer Fantasy"